More DNA is in, mitochondrial disease is out. The UK legalized three-person in vitro fertilization (IVF) in 2015, and now, this procedure may be trialled by families in the UK this year. The Human Fertilisation and Embryology Authority (HFEA), which serves at the UK’s watchdog for the ethics of fertility procedures, approved the mitochondrial transfer technique in mid-December of 2016. HFEA says that the technique should be used “cautiously,” and only in cases which pose a high risk of conception with mitochondrial disease without intervention. 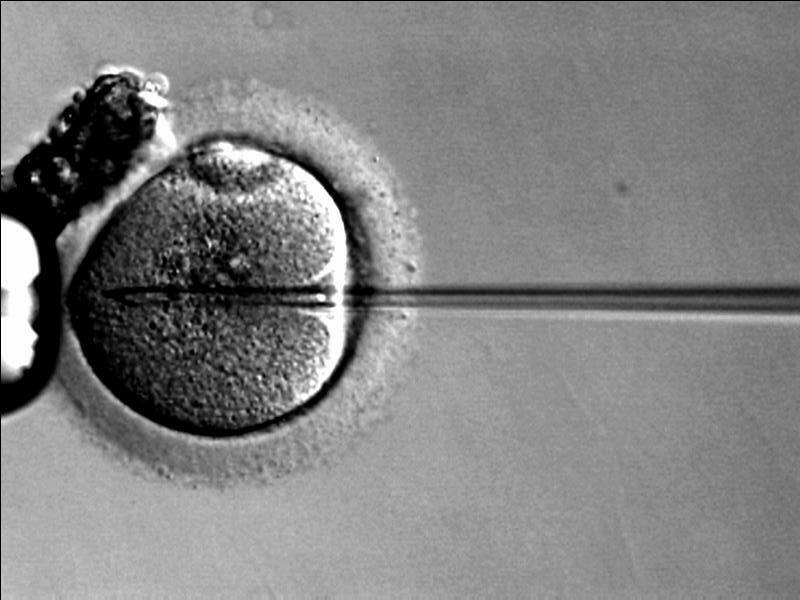 Individual fertility clinics are now able to apply for licenses to use the technique. Applications can be submitted to the HFEA from a variety of sources, including fertility clinics, to either use the technique generally or for a patient/couple to use it in their particular case. The HFEA will evaluate each application based on its individual merits. HFEA’s approval of the process and licensing scheme represents what is probably the most in-depth ethical and scientific study of mitochondrial donation to date. Mitochondrial donation is important for people who would be likely to pass on a serious or fatal mitochondrial genetic disorder without intervention. There are many kinds of mitochondrial diseases, and most are serious because it is the mitochondria that power almost every cell in the body by converting energy from oxygen and food. Without mitochondria that work properly, function in the brain, heart, lungs, and muscles can be severely impaired. According to the United Mitochondrial Disease Foundation, symptoms can include blindness, strokes, deafness, seizures, diabetes, and muscle failure. Health problems caused by poor mitochondrial function may include a poor immune system, poor kidney function, gastrointestinal problems, or poor heart function. There is no way to know in advance what symptoms will strike, or whether the disease processes will be fatal. Mitochondrial donation substitutes just the mitochondria of a healthy donor for the mother’s mitochondria. Most of the genetic information we carry comes in our Chromosomes, so this swap doesn’t mean your child would come out “just like” your donor, or that you’ve traded away most of your DNA. Mitochondrial DNA includes 37 Genes that control cellular energy production, and those are the only genes that change. The process was approved legally in the UK in 2015 after years of research and extensive debate. In 2016, a study published in Nature found that use of the process would produce normal pregnancies. The technique is being investigated in the US, but it is not yet approved. There are no legal rulings as of yet in Mexico, where one child has already been born using the technique. In January 2017, a baby was born in Kiev, Ukraine as a result of mitochondrial donation, and another child conceived the same way is due there this month, March 2017. Interestingly, in those cases there was no risk of mitochondrial disease. Instead, the process was used to help a couple conceive — in other words, to help improve embryo or egg quality, or possibly to cope with the aging of eggs. However, The British Fertility Society (BFS) has said that there is no sufficient evidence to justify the use of mitochondrial donation in standard IVF treatments. Mitochondrial donation may not necessarily cure the diseases it has been approved for, either. While the June 2016 study suggested that healthy babies would be born using this technique, other evidence indicates that it might not fully protect women with mitochondrial disease from passing on the disease to their embryos. A November 2016 study found that defective mitochondria might develop in babies despite the technique’s use. However, the procedure is mostly safe, and it is giving people around the world new hope. At least 20 babies who were conceived using this technology are due during the first half of 2017.